External Affairs Minister Professor G.L. 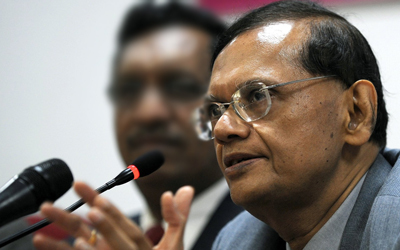 Peiris yesterday told Parliament the Indian government has informed Sri Lanka that according to revelations so far into the bomb attack in Bodhgaya, the incident had no connection with Sri Lanka. The minister said the Indian government seemed to be taking all measures to ensure the security of pilgrims visiting the birth place of the Buddha in India. He added the Indian government as well as several other governments condemned this attack. Prof Peiris said President Mahinda Rajapaksa spoke to the Chief Minister of Bihar immediately after the attack. The minister made this observations in response to Opposition leader Ranil Wickremesinghe’s statement that Parliament should make a request from the Indian government through the External Affairs Ministry for a copy of the report on the Bodhgaya bomb attack compiled by the Indian Police. The minister also expressed his regret over a statement by UNP MP Joseph Michael Perera earlier that there was a Sri Lankan connection to the Bodhgaya bomb attack although the Indian government states otherwise.